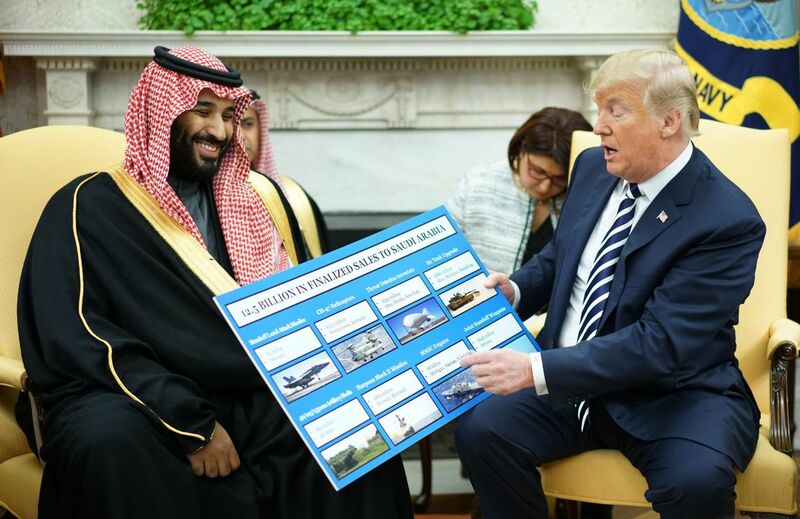 President Donald Trump looks at a defense sales chart with Saudi Arabia&apos;s Crown Prince Mohammed bin Salman in the Oval Office of the White House on March 20th, 2018. Over the last few months, Congress has grown increasingly wary of the Trump administration&apos;s attempts to seal a nuclear energy deal with Saudi Arabia. The United States&apos; relationship with the Saudis has been on thin ice since the death of the journalist Jamal Khashoggi at the Saudi consulate in Istanbul. 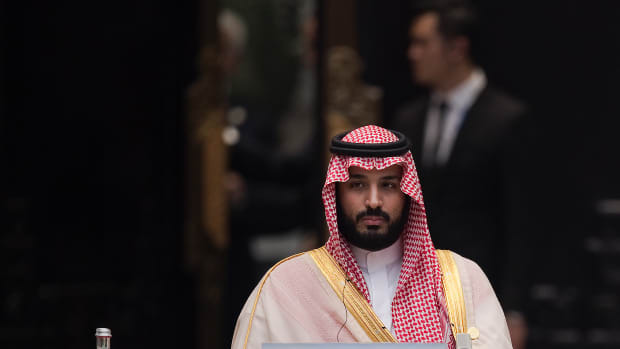 Many members of congress hold the Saudi Crown Prince Mohammed bin Salman responsible for the journalist&apos;s brutal murder. The Saudi prince&apos;s "Vision 2030" plan, released in 2016, calls for the oil giant to reduce the role of fossil fuels in its energy mix and economy, and to get a third of its energy needs from renewables such as solar, wind, and nuclear by, as the name implies, 2030. In order to achieve these ends, Prince Salman has long been negotiating with the Trump administration to buy nuclear power plant designs from U.S. companies. 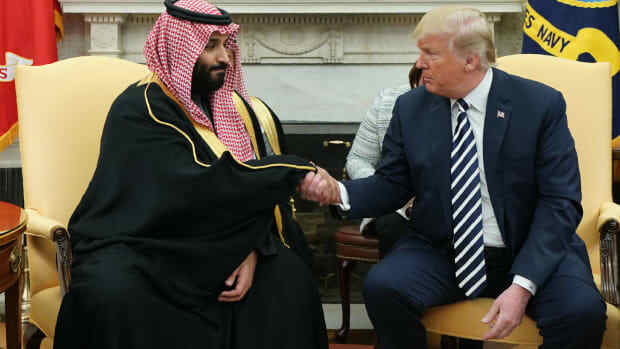 Now, U.S. lawmakers are concerned that the White House plans to sell nuclear technology to the Saudis without congressional approval and with no agreement from the Kingdom that it will submit to international safeguards to prevent the proliferation of nuclear weapons. The Saudi energy ministry has said that its nuclear program will be "strictly for civil and peaceful uses," but, last year, the crown prince told 60 minutes that if Iran developed a nuclear bomb, Saudi Arabia would be forced to follow suit—leaving Congress and arms-control experts concerned about the Kingdom&apos;s budding nuclear program. 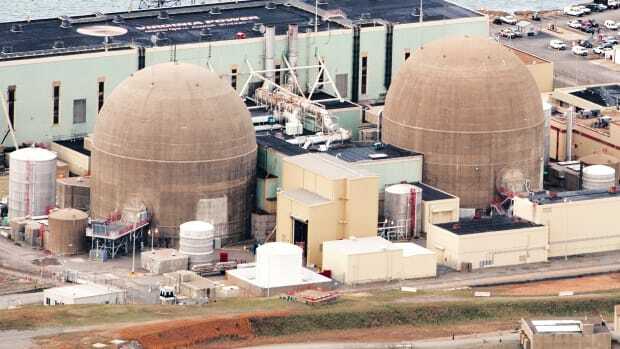 In February, the House Oversight Committee released a report raising alarms that the Trump administration was trying to circumvent the standard process of nuclear transfer agreements, known as 123 agreements, which require congressional approval. 123 agreements also require that countries receiving nuclear technology guarantee that it will only be used for peaceful purposes and submit to international safeguards including inspections to confirm compliance. In March, the Daily Beast reported that the Department of Energy and the Department of State had issued seven authorizations for U.S. companies to share technological information with Saudi Arabia, despite the Kingdom&apos;s continued resistance to agree to non-proliferation terms in 123 agreements. The departments also refused to share any information about the authorizations, known as Part 810s for the clause of federal regulations that govern the transfer of sensitive information, with the public or Congress, citing the companies&apos; need to protect proprietary information. Then in April, satellite imagery revealed that Saudi Arabia is nearing completion of an experimental reactor on the outskirts of Riyadh, based on designs from Argentina, leading arms control experts to once again raise alarms that the country might soon obtain nuclear fuel from the South American country without any safeguards agreement in place. To make sense of this saga and its latest development, Pacific Standard spoke with Richard Nephew, a senior research scholar at Columbia University&apos;s Center on Global Energy Policy about the oil giant&apos;s pursuit of nuclear energy. Why are arms-control experts worried about this research reactor outside of Riyadh? Well the real reason is because the International Atomic Energy Agency safeguards agreement, which should be in place before such a reactor gets operational, is not in place. It&apos;s necessary for NPT states [which have signed on to the United Nations&apos; Nuclear Non-Proliferation Treaty] to provide verification that they don&apos;t have a weapons program. The real question is whether or not Saudi Arabia is planning before they get any fuel to work through the safeguards issues. I can&apos;t imagine they&apos;re not. Argentina has got responsibilities under the Nuclear Suppliers Group to provide confidence that there are safeguards in place before providing fuel. So I&apos;ve got no reason to believe that won&apos;t happen. But it does raise questions as to what the Saudis are up to. So there&apos;s not really any way for the Saudis to get nuclear fuel without signing onto a stricter non-proliferation agreement? I don&apos;t think so. The Argentines would have to violate their obligations, which I find really hard to believe they&apos;d do. My suspicion is that this is just a process that still needs to be completed before fuel is provided, and that they&apos;re just taking a more labored approach to what you would normally imagine. But the fact that the Saudis have been resistant to a safeguards agreement for awhile and have not made progress on it does raise questions. 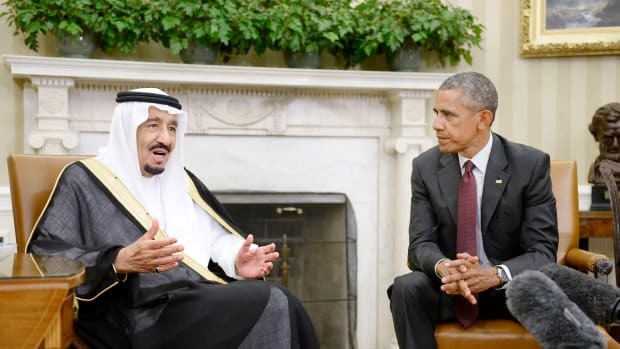 What&apos;s in the safeguards agreement that the Saudis are resistant to? They have to agree to provide access to declared nuclear sites in the country so as to provide the IAEA with confidence there is no undeclared nuclear activities or diversion of nuclear material. They have to start providing declarations on imports of nuclear material as well as exports of nuclear material. We&apos;d prefer, of course, they implement the additional protocols that would come with more inspections. Those are the things the safeguards agreement requires. I do pause before saying that that&apos;s why they&apos;re resistant. I think part of the reason why they&apos;re resistant is they&apos;ve never had a 123 agreement before, and, bureaucratically, I think that they are just proceeding slowly through the steps that are required. I&apos;ll be more concerned if we hear about them putting political pressure on the Argentines to deliver notwithstanding safeguards, because then that tells me that the Saudis don&apos;t have any intention of doing this the right way and that they are trying to escape their non-proliferation obligations. So it&apos;s too soon to be worried about this right now? I wouldn&apos;t say it&apos;s too soon to be worried. I think it&apos;s too soon to be panicked. Look, a better way of doing this if you&apos;re the Saudis, especially in a region that&apos;s as sensitive as the region that they&apos;re in, is to have put in place all of the standard non-proliferation commitments in advance before construction began. And there&apos;s no particular reason why they couldn&apos;t have. So that&apos;s what makes me nervous and makes me question what&apos;s going on in Riyadh. The fact that they&apos;ve made public statements about wanting to have nuclear weapons if they can&apos;t have confidence that Iran doesn&apos;t have them raises questions. So there are reasons why it&apos;s worth being nervous and skeptical. Why does this oil-rich country want to expand its nuclear program anyway? I think there are two reasons. One is that, the way the Saudis explain it, their base-load generation needs are such that they need to have the ability to provide a certain amount of electricity at all hours. They don&apos;t want to do it through oil because of both climate change issues and because they want to sell that oil. If they weren&apos;t consuming so much of their oil and they were instead selling it, they&apos;d be able to capture market share and make a lot more money. They want to have the ability to put what remaining oil resources people want to buy on the market. Remember they&apos;re looking at a world in which people aren&apos;t going to want to be buying oil anymore. That&apos;s not going to happen tomorrow, but if you think about it from the Saudi perspective, they&apos;ve got to start planning for a world in which oil is not the thing it&apos;s been for the last hundred years. So you know there&apos;s an economic reason for it. I think that, politically though, there is a desire to match what the Iranians are doing. They don&apos;t want to be seen as more backward than the Iranians, more backwards than the Emirates. Why do the Saudis want to work with U.S. companies anyway, when they&apos;re already working with Argentina and other countries, such as China and Russia, that can build reactors more economically and efficiently? What they&apos;re doing with the Argentines is research reactor construction, and research reactors are one thing, but power reactors are still something that&apos;s got a lot of U.S. content. And the Saudis would like to have reactors with a lot more U.S. content. That&apos;s still what a good, really modern power reactor potentially will involve. I don&apos;t think they want to be dependent on the Russians or the Chinese and other suppliers if they can get American. But the real question is are they prepared to pay for it through the kinds of conditions that we put on a 123 agreement. And this is why the question about what the administration&apos;s been demanding is so important, because if the administration is basically saying, "Don&apos;t worry about the 123, we&apos;ll back door it through these Part 810s and other things," that&apos;s going to get beat up on Capitol Hill. That waters down our wine a little bit, in terms of making a firm non-proliferation ask of the Saudis, and it gives them a mixed signal about what our intentions are. Even worse, let&apos;s say that the administration makes all these promises and then Congress yanks it back, then the real problem is that the Saudis now are going to get mixed signals as to what total U.S. intentions are—not just what our non-proliferation interests are. So it&apos;s really problematic that there is this much question about this. So these Part 810s can&apos;t replace a 123 Agreement? No, at least not legally. They&apos;re intended to be essentially a supplement or an element that you would execute before you have a 123 agreement. They&apos;re not intended to be a vehicle through which you could bypass a 123 agreement, which has got to have congressional review. And that&apos;s the real issue here. Part 810s are supposed to be notified to Congress and, I gather, based on articles, that didn&apos;t happen. Again, it all contributes to this this idea that the administration is intent on end-running Congress on something that Congress is already not that happy about. There&apos;s usually not this level of secrecy around 810s? No, I mean proprietary information is one thing. No one&apos;s expecting the details of a reactor to be posted online. People recognize that companies have a right to their proprietary information, but someone at the Department of Energy actually tried to say the names of the companies are proprietary too, which is taking proprietary information a little far I think. The Saudis have said that they don&apos;t have any intention to create nuclear weapons unless Iran does first. So how would that square with the 123 Agreement negotiations? That&apos;s part of the problem right? I think that the Saudis are basically saying, "We don&apos;t want to make a commitment to you that we are potentially going to violate when we decide to build nuclear weapons." There&apos;s a kind of positive argument there, in the sense that they&apos;re saying: "Listen, we don&apos;t want to mislead you. We&apos;re not going to lie to you and say we&apos;re not going to build them." But that still adds up to something that we&apos;ve determined to be fundamentally against our policy interests. And the Saudis are not interested in addressing that problem for us.